COFCO Engineering and Technology Co Ltd (COFCO ET) under COFCO Corporation, is one of the global top 500 companies, which is formed by the former four scientific, research and design institutes (Wuxi, Zhengzhou, Xi’an and Wuhan) of China’s State Administration of Grain. The four different departments of COFCO ET were founded in the 1960s and specialise in technology research and development in the grain and oil industries including wheat, rice, oil and fat, corn, feed processing, grain logistic and storage. It also specialises in engineering design, consulting and contracting plus equipment manufacture. COFCO ET has a strong team of experts which it cultivates, to develop a batch of professional grain technology leaders who have great influence in their respective fields, says the company. Within its team are 251 ‘National Registration Engineers’ including specialists in architecture, structural engineers, cost engineers, machinists, electricians, supervising engineers, construction engineers, quality engineer, etc. With the most complete and the highest level of qualifications within this industry in China, COFCO ET has won more than 200 national awards in its respective areas and activities. By placing more emphasis on technological innovation, the organisation brings more economic benefit to companies and ensures COFCO ET is able to reach advanced international levels in the same period. “Over more than 40 years and through generations of relentless effort, our company has carved out successful experience in wheat, rice, oil and fat, corn, feed processing industry with new and sophisticated technology,” says the company. With its prestigious reputation, its customers are spread throughout the country and to over 20 overseas countries and regions including Russia, Ukraine, Thailand, Kazakstan, Uzbekistan, Greece, India, etc. “The flour engineering department of our company has been engaged in technical consulting in flour, coarse grain processing projects, process engineering design engineering and general contracting service. 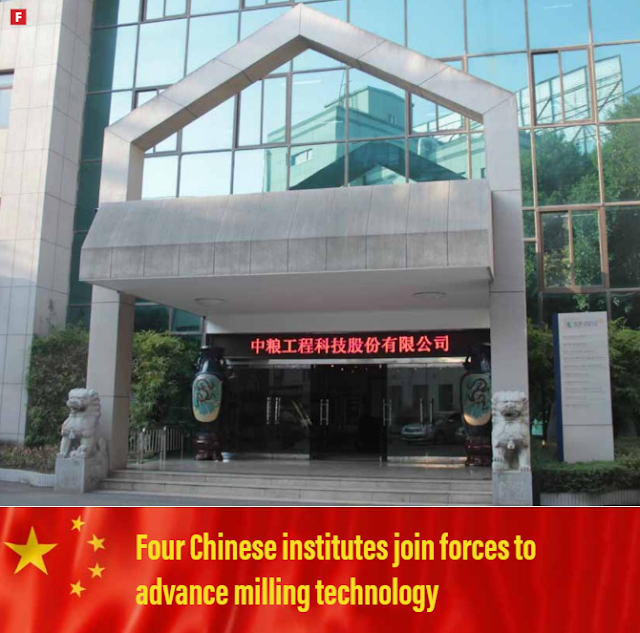 “Material proportioning and pre-mix, positive and negative pressure conveying, ventilation and dust removal technology, complete engineering contracting of food, chemical, pharmaceutical and building materials industries and so on are covered,” COFCO ET adds.